The implementation and costs of landlord licensing schemes in Britain are a lottery. That’s the conclusion of a new analysis of licensing charges between local authorities conducted by Direct Line for Business. It shows a large variance with the cost of a new licence ranging from just £55 to £1,150. In Liverpool the cost of a licence for a first property is £412, whereas in Salford just 30 miles away it is over 51 per cent higher at £625. 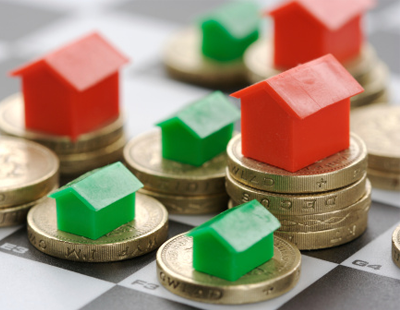 The average landlord licence across the UK costs £591. 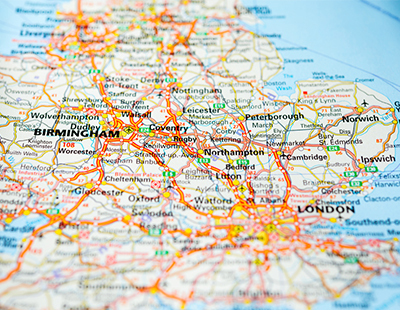 In Scotland and Wales landlord licence schemes are mandatory while in England just one in six local authorities have a scheme in place - this adds up to an estimated 460,000 rental properties in England. The research has also identified a dramatic increase in the costs charged by local authorities for landlord licences over recent years. For its additional licensing scheme, the cost of a licence in Newham, east London, increased by 150 per cent in just three years, from £500 in 2014/15 to £1,250 in 2017/18. Local authorities are raising huge sums from additional landlord licensing schemes, with Liverpool council receiving over £4m in a year covering over 42,000 properties. On average, each council with a scheme in place raised £144,629 from landlord licensing schemes in 2017. 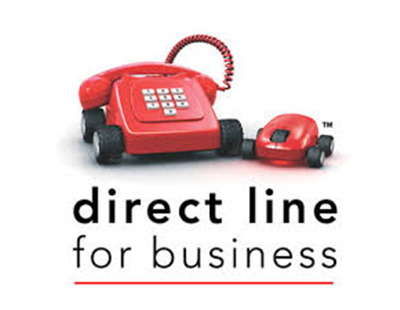 Direct Line for Business claims there are a baffling range of licence costs, terms and exceptions depending on the local authority running the scheme. These include tiering the cost of licences based on the number of rooms in a property (12 per cent), charging by property type (nine per cent) and the number of occupants (eight per cent). Meanwhile local authorities across the UK recorded an average 5,069 licensing offences in 2017, an increase of 46 per cent since 2016. Civil penalties are notionally up to £30,000; however, the average fine for a licensing offence in 2017 was just £926. “Our analysis shows landlord licensing is truly a postcode lottery, with a phenomenal range of costs for those that do have to sign up for a scheme. Anyone planning on becoming a landlord, or who already has a property portfolio, should contact their local authority to see if they have a scheme in place” says Matt Boatwright, head of Direct Line for Business. In Wales all landlords are required to register with the centrally-administered Rent Smart Wales and to either be licenced themselves or use a licenced agent. The Direct Line for Business analysis reveals that since the start of 2017, there have been a total of 11,392 successful landlord licence registrations and Rent Smart Wales has generated over £1.54m in revenue in that timeframe. Since the start of 2017, there have also been 1,625 licences granted to agents, those who let or manage a rental property in Wales. These registrations generated £211,321 in revenue. Finally in Scotland - where it is a criminal offence to let a property without registering with a local council - there have since the start of 2017 been over 22,000 new landlords registered and over 46,000 successful renewals. Everyone carrying out letting agency work also must apply to join the Scottish Letting Agent Register. Responding to the research, the Residential Landlords Association’s policy director David Smith says: “Whatever the cost of licensing, it fails to provide any assurance about the quality of accommodation. The RLA’s own analysis shows that there is no clear link between a council having a licensing scheme in place and levels of enforcement against criminal landlords. Poll: Licensing schemes - they're just an excuse for councils to raise money, aren't they? Damn you James, that's exactly what I was going to write. "Great James' think alike"
It's just another form of 'Scam'. Why should they be aloud to get away with it? They bark and we have to jump. these powers are far too liberal and dangerous and open to huge level of abuse of powers. By using the council tax to identify the landlord, the landlord are then crucified and not allow any exemptions which are normally given purely on any basis they decided to impose. Who is there to regulate this abuse of powers? Also rented properties are then charge 150% council tax and refusal to acknowledge a single occupants or students came into place. it goes on and on and on and apparently there is no process for appeal!!! The concept is legitimate and, if implemented and enforced effectively, could be a force for good professionalising the sector and raising standards. However, this simply isn't happening. 100% agree with David Smith that councils should be applying data analysis to identify unlicensed properties, investigate and take action against the worst offenders. However many councils have admitted to having very small teams who struggle to process the applications received let alone implement any effective enforcement. The question is, if not effectively enforced, is such a scheme even legal? Can they legitimately enforce these if it can be shown it is now being effectively implemented? Surely they must be required to capture a minimum % of the market (say 90% within 3 years of implementation) to be permitted to continue such schemes. Licensing in its essence is a good thing however the playing fields are not level the same fee is charged if you have a 1 bed flat or a 4 bedroom house , and what about the local authorities themselves!! some of the worst landords on the planet the upkeep of blocks lack of maintainence etc would see a private landlord taken to task pot calling the kettle me thinks, make everyone accountable private and public sectors alike and stop bashing the hard working decent landlords out there that provide an excellent service not provided elsewhere. Some may argue that licensing is the way forward and can have a positive impact on the market as a whole but i find the license costs are extortionate and some councils on selective areas to license is discriminate, its is evident that collectively and very strategically many new policies have been put in place to put the squeeze on individual landlords to make way for the corporate investors and organizations. Time the larger numbers (US) challenge some of these policies.. I paid HMO licence fee for 5 years then council decided didn't need an HMO renewal licence anymore as they changed the rules. These rules are made by fools for fools, these rules didn't even apply to the same council that made them up in the first place, just like Council Tax at 100% when empty because you need to refurb due to last tenant trashing it, but put one tenant in and they get a 25% reduction, Council are the biggest RIP of merchants out there, pure stealing! Perhaps every 5 years the licence fee would be adjusted to account for RPI. I would ensure via appropriate regulation that EVERY private LL would only be allowed to let if it had a checkable licence no. That would mean that any LL letting with a resi mortgage in place without CTL would be unable to let as it would be a breach of licence conditions to use incorrect loan products to facilitate letting. Then it would also be checked that the lender mortgage product allowed letting to HB tenants. Any LL that did not have such permisdion would need to evict those on any amount of HB even £1 as that is what the stupid mortgage conditions state. Also the CORRECT insurance product would be required as lenders require the property to be insured. 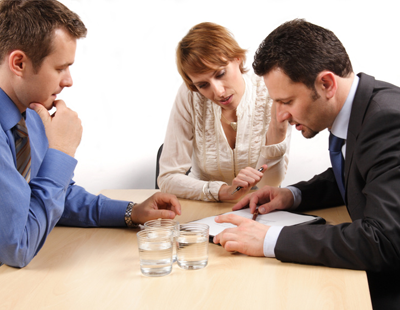 That means if DSS tenants are allowed by the lender that specific DSS tenant insurance is required. It will be a requirement that a LA checks all these things are in place before a LL may allow a property to be advertised not forgetting an EPC of minimum E status unless exemption has been achieved. All mortgage lenders of whatever type for a property being let to have lender confirmation that the letting is in complete conformity with mortgage conditions. Now if such a thorough National LL licensing scheme was introduced there would be about 3 million homeless tenants. A run on the banks as BTL was unviable based on the vast numbers of LL accidental or otherwise breaching such lender conditions. Of course it would be great news for all compliant LL. But as we all know millions of tenants are being let to illegally and in breach of lender and insurance conditions not forgetting the 2 million illegal immigrants who are renting but WON'T have passed R2R regulations. The current licensing is just playing at it. We all know it is just an income garnering process for Councils. There is simply no way that the Govt could ever have a thorough licensing scheme when so much letting is ILLEGAL or breaching relevant conditions. It would cause a UK depression and liquidity would dry up far worse than the CC!! Hi PB, the council always contact the mortgage lender to let them know and the mortgage company would then write to the borrower charging higher interest, so there is no accidental letting without permission. Quite rightly PB, mortgage companies would not allow it. Yep the last thing they want to receive is letters requiring CTL for the LL wishing to let a property. Once the lender is informed that the LL wishes to let the lenders can hardly ignore their own mortgage conditions!!!! Banks prefer to be in blissful ignorance. Sleeping dogs and all that!! A slight flaw in your suggestion. If I was an accidental LL no way would I use a LA. No way would I license. In short there is no way that anyone would be able to detect I was letting my residential property to tenants though I would call them lodgers. Over 300000 Accidental LL are doing this. This also results in mass tax evasion!! Though letting to lodgers would be perfectly legal. Though you might forget that nosy neighbours would report it and claim you dont live there. Some not so effluent area would mind their own business and couldnt careless if you let out as hmo or otherwise, However, if you are non white or different and live in an effluent area, the neighbours would be highly educated and also discriminate. They dont like foreigners nor students as its an effluent area. Some do make it rather difficult and you may have to prove it and your tenants would have to agree with you to be lodgers but that said, do you want to really be paying for their end of tenancy cleaning? and bills as you would definitely have to have bills in your name if lodgers. Clearly there are issues with a lodger strategy. Personally if near enough I would attend once per week to collect mail etc. But the point is these A LL are NOT being detected. I DON'T doubt the risks they are running as you suggest of being grassed up!! I have yet to hear of one single homeowner who has their resi loan called in because of breaching conditions. I only know of one occasion where this has occurred. The risk of being sussed is very small when compared with the inability to sell or even desire to do so when moving for job circumstances is necessary. Which is why renting can be a very useful form of tenure......................not that Govt would accept that!! So mass tax evasion will continue with A LL despite all the risks you gave suggested. Homeowners will duck and dive to avoid having to sell their resi property. Obviously these A LL WON'T use LA cos of course ALL LA will ask for. A CTL ketter and EPC and LL insurance and letter to be able to let to HB tenants......................yeah right they will!!!!!!!?????? Ahh! I would totally agree with you where you have deviant lodger behaviour. Yes this is a risk. Which is why it is really only suitable as a strategy for those live-in LL that are able to visit their home at least once per month so as to comply with resi insurance conditions. Of course another way is random skype calls to have the lodger walk round the property as a sort of inspection. A personal visit the following day. There are ways to catch out deviant tenants and lodgers but I agree it is not a perfect process. Perhaps advise neighbours there should be no more than 4 occupants. If they notice more a little grassing phone call to the homeowner would be appreciated!!! As for applying for a Mandatory HMO license; bit difficult to do if rooms are undersized. Live_in LL can only assume these additional occupants are guests. So NO HMO license require. Guests can stay I believe up to 30 days at a time but no more than 145 days in a year. Good luck to the Council trying to work out who was a guest and for how long!! All things lodger I defer to Gary Hodge on Propertytribes who is brilliant on teasing out all lodger issues. He is very capable at thinking outside the proverbial box. Can I recommend ' Lodgersite ' as an excellent and knowledgable resource. Local Authorities are not, by Government regulations allowed to profit from Licensing and the money raised must be used for the purpose it was generated. Clearly, across the country this is NOT the case. There are numerous examples of Local Authorities where No inspections or prosecutions have been taking place. The financial question has to be, 'What has the council done with the Licensing fees raised. ?